Social media users shared pictures of the polar bear invasion in Russia’s remote archipelago in the Arctic Ocean, Novaya Zemlya. The predators were seen walking along streets near houses. Novaya Zemlya is situated in the extreme northeast of the country's European part and has a population of only slightly over 2,000 people. Large gatherings of polar bears were spotted in the vicinity of settlements on the archipelago. More than 50 polar bears entered the village of Belushya Guba, with some of them reportedly even entering houses and private property. Judging by videos circulating on social networks, some locals weren't afraid of the deadly bears. 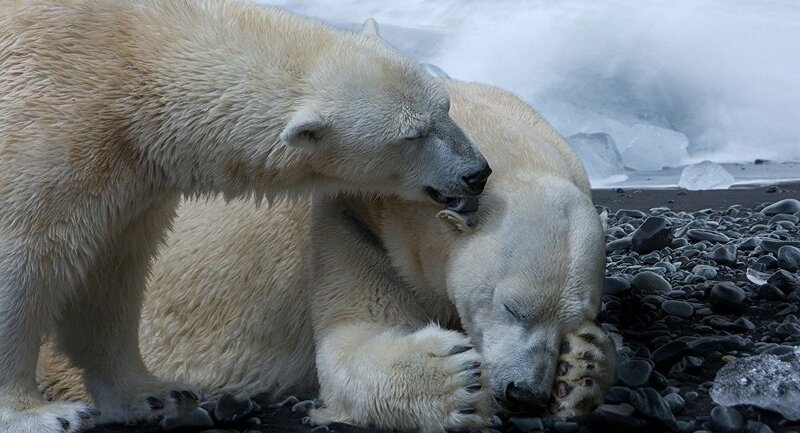 Earlier, authorities declared an emergency in the Novaya Zemlya archipelago due to the massive polar bear invasion.